The practical philosophy archives in Takis Athanassiou Blog. Here there are all the related posts and articles in this category. We all know that being able to put some money into an investment of some kind or another is a wonderful thing. But it can often be hard to know how to begin doing that, and if you are struggling with this at the moment, it’s important to know that you are not alone. This article has been written by Emily Ford. Emily is a content writer at FeedFond. A flagbearer of organic eating and a fitness freak, she’s a healthcyclopedia. To read more of her articles, visit FeedFond.com. Life is hectic for startup founders and entrepreneurs, and there’s no denying that. If you’re an entrepreneur, it can get quite challenging for you to maintain a healthy lifestyle. But what if I told you that a healthy lifestyle can, in fact, improve your performance as an entrepreneur? It’s all too easy to feel in a slump when you are between jobs. Whether you are out of work due to reasons beyond your control, or you left due to an unpleasant or unfulfilling work environment, you can make it work for your future. This article has been written by Carol James. Carol is a writer and senior editor custom writing service EssayLab. She has MA degree in social sciences and writes articles, reviews on the different actual subjects. So, if you have any questions regarding the writing, feel free to ask her. Is there any way to improve your self-confidence? Every person can benefit from knowing how to build self-confidence. Think about how easy it would be to harness your natural potential when you have unshakable self-confidence. Having this self-confidence would make your life easier, whether it’s in your career, the achievement of personal goals, dating life, or in taking care of your body. I’ve been visiting a small coffee shop in my town the other day to grab a small cup of coffee for the rest of my (working) day. It is a small coffee shop I like a lot for many reasons: excellent coffee, quality services, attention to individuals’ needs and continuing personal interest and connection. Most people expect something to happen, in order to do something else. They strongly believe that in order for them to do something, something else should be preceded! And they postpone activities and things to be done in the name of lacking the necessary resources. 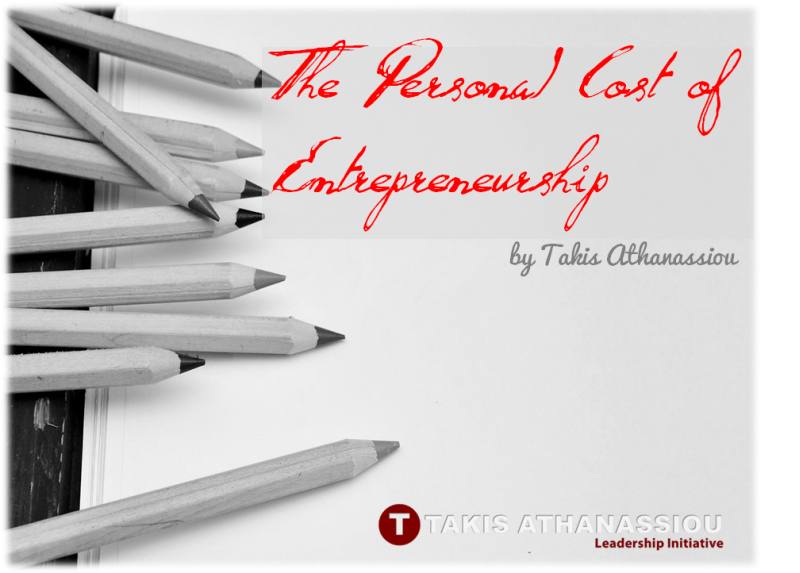 Entrepreneurship is a complex concept with very simple (and humble) origin. It is basically the process of developing a business, company, startup, organization or venture aiming at bringing something new (and needed) resource in the world! This is what I was thinking when I had finished the university and I still believe today. It is not about money. Or at least is not JUST for the money. Entrepreneurship, for me, is a disruptive process, aiming at fill in existing requirements (needs if you like) and manifest a new thing (item, commodity, resource, asset, etc) in the world. 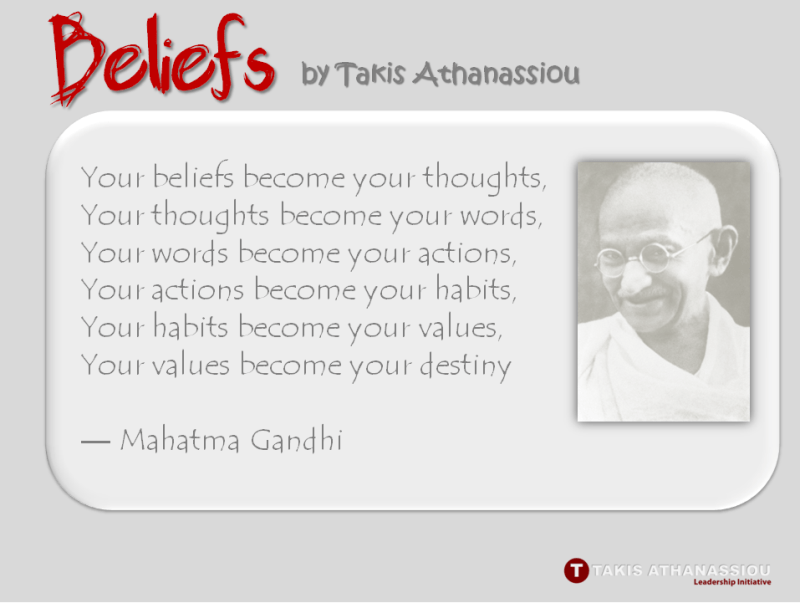 Beliefs define you! During my business life, I have tried a lot of thinks. Either from a position in a business hierarchy, or from a personal point level. One of the most important lessons, I have learned during this time, is that your beliefs direct your thoughts and actions! We like to tell stories! Stories, give a more coherent framework to understand a situation or a subject. A story provides, time reference, location, rhythm, coherence, heroes, villains, minions, and a thousand small details, that develop a whole world, in the mind of the listeners. That’s why it is important to say and listen to stories. 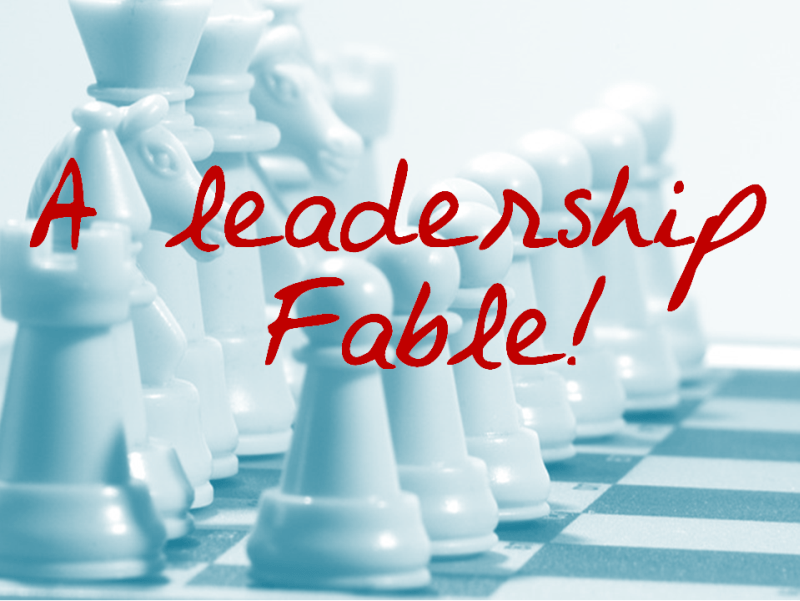 Here another one, about leadership! I hope you will enjoy it!